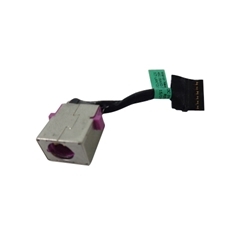 Description: New genuine Acer laptop dc jack cable 135 watts. This dc jack is purple. Compatible Part #'s: 50.G6HN1.003, 50.G6RN1.001, 450.05A0D.0011, 450.06B02.0001. Acer Aspire V Nitro VN7-592, VN7-592G, VN7-792, VN7-792G.